This podcast was produced with suppport from the City Accelerator program. 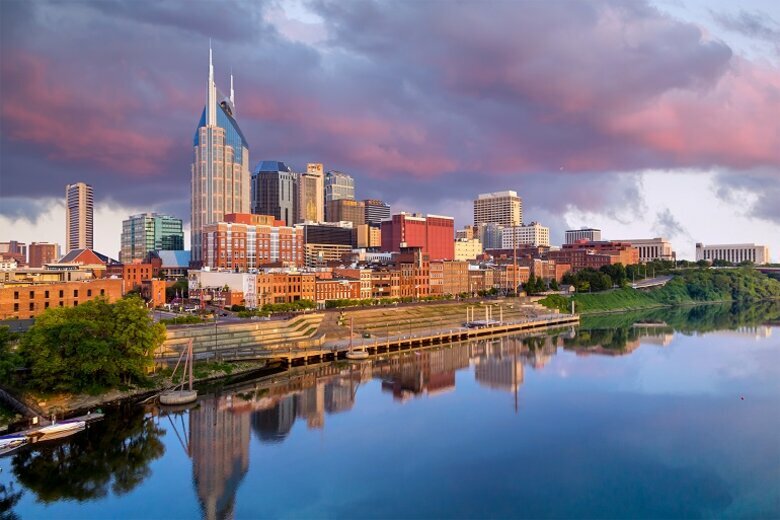 Faced with aging infrastructure that needs to be replaced or rebuilt, a handful of cities have been working together to identify viable financing models that would also serve the interests of their low-income residents. 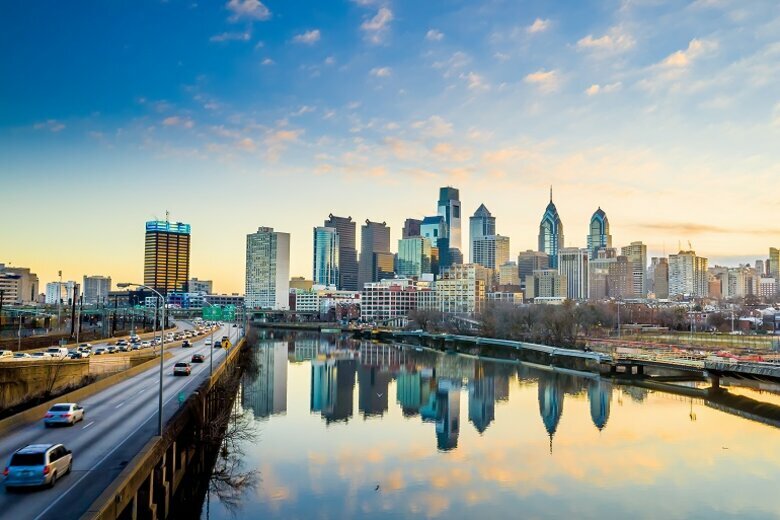 Teams from Pittsburgh, St. Paul, the District of Columbia and San Francisco have completed an 18-month collaboration through the City Accelerator, an initiative of Living Cities and the Citi Foundation. The infrastructure projects are as varied as the cities pursuing them. In the nation's capital, the D.C. team overcame public resistance to LED technologies in modernizing street lighting. The Pittsburgh team pivoted mid-project in its effort to extend the service life of the city's iconic public stairs. St. Paul identified a latent opportunity for place making as it literally surfaced and underground water utility. And San Francisco faced the daunting challenge of preparing for the seismic reinforcement of its sea wall, and began the work of confronting the prospect of a $5 Billion bill to address sea level rise. Each of the city teams worked together for 18 months to find ways to balance competing demands of sustainable financing for major infrastructure projects and investing in the well-being of low-income residents in their respective cities. During their final meeting together, the city teams reported out on their 18 months of work - all of which was captured in a special podcast episode. You can listen to the episode on the player above and subscribe to the podcast on Apple Podcasts or Stitcher. Below is a transcript of the podcast conversation. It includes time stamps for easy reference [00:15:30, for example]. Announcer: It's Living for the City, the voice of the City Accelerator, supported by Living Cities and the Citi Foundation and produced by Governing. Paul Taylor: We are talking about the City Accelerator, for the record, with Jen Mayer, the infrastructure finance advisor to Living Cities. Paul Taylor: I am Paul Taylor, editor-at-large of Governing Magazine, and this is a special pop-up podcast with four cities that have been incubators of innovation, in creating a resilient and equitable model of financing [00:00:30] public infrastructure. They are Pittsburgh, St. Paul, the District of Columbia and San Francisco. And we have a live audience here in the city by the bay, San Francisco. Jen Meyer set this up. What have these cities been up to? Jen Mayer: Well, they've been participating ... Representatives from city government from different departments involved in infrastructure finance have been involved in an 18 month peer learning experience, [00:01:00] looking at how they do projects, learning from other cities, and actually getting to visit projects in action. Paul Taylor: Let's meet our guests. Name, affiliation, and the briefest of descriptions of your project. Brian Strong: My name is Brian Strong, I'm the Chief Resilience Officer and the director of the Office of Resilience and Capital Planning for the city and county of San Francisco. The project that we're talking about is replacing our three and a half mile sea wall that runs [00:01:30] from Fisherman's Wharf down to AT&T Ballpark. Paul Taylor: And the nation's capitol. Seth Miller Gabriel: Hi, I'm Seth Miller Gabriel, I'm the director of the Office of Public-Private Partnerships for the District of Columbia, and our project is a conversion of our 75,000 street lights to LED lights, with a build out of free public Wi-Fi. Paul Taylor: The better of the two of the Twin Cities. Wes Saunders-Pierce: Hi Paul, I'm Wes Saunders-Pierce and I'm the Water Resource Coordinator for the city. Our project is about trying to find funding for comprehensive [00:02:00] green infrastructure solutions at urban brownfield redevelopment sites. Paul Taylor: Finally, batting clean-up, Pittsburgh. Kristin Saunders: I'm Kristin Saunders. I'm with the Department of Mobility and Infrastructure, and I'm a transportation planner, and our project is looking at our 800+ public staircases that are historic right of ways and are looking at how to improve them and improve pedestrian access at the same time. Jen Mayer: Great. Let's talk about part [00:02:30] of the impact of being part of the accelerator, beginning with our host city of San Francisco. What did your team see, early on? Brian Strong: Thanks, Jen. I hope I can be heard here. Thanks, Jen. A lot we saw early on, and really, part of the benefit of getting here is that we had a massive infrastructure project that we recently learned was at seismic risk, that we needed to make some steps to address, and just getting our group together from San [00:03:00] Francisco. Getting four people that work in very different offices and functions, including infrastructure, planning, finance, the Port of San Francisco. Getting us together, outside of our environment, just in and of itself, was really important. And then being able to follow up with that and share with other people. I think one of the best ways you learn is by sharing, and the opportunity to share and learn from the other jurisdictions we were with was fantastic. Jen Mayer: And I don't know if the City Accelerator can take full credit, [00:03:30] but I heard you got some funding shortly after getting the team together.Brian Strong:No, that's right. Part of getting people together is that you can move quickly and identify next steps, and one of those next steps was getting this project into our 10 year capital plan, and by doing that, we were able to secure $4 million in capital planning fund dollars. That's money that goes toward advanced development of projects, or pre-development of projects. And we were also able to secure $2 million from the Port of [00:04:00] San Francisco for planning, along with $2 million from some of our other, larger departments that rely on this infrastructure. Paul Taylor: Second city toss-up, who would also like to address that? Kristin Saunders: The start of our project ... In decades, Pittsburgh hasn't looked at a comprehensive plan for the public staircases, so just beginning to actually scope that out and really understand what it means to look at a comprehensive [00:04:30] plan for 800 staircases that sit in multiple neighborhoods across the whole city was really valuable in getting the right players at the table, to have that conversation. Paul Taylor: On that issue of right players, let's talk a little bit about relationships. How did you know who to build them with? How did you build those relationships, and a little bit on the results? Seth, maybe we can talk about the D.C. experience to start. Seth Miller Gabriel: Sure. It's been great, just through the accelerator program, and our own program ... And incidentally, the [00:05:00] accelerator program matched up very well to the District of Columbia with the creation of the Office of Public-Private Partnership, so I guess Jen can take credit for that too, if you want. We found it very useful, as we were trying to build the relationships for a new office, within the government of the District of Columbia, reaching out to larger, more established agencies like the Department of Transportation, Department of General Services, the Chief Financial Officer's office, of trying to explain to them what a public-private partnership is, and a lot of times, what it's not. Those conversations are always harder, [00:05:30] to explain what a P3 is not, because generally, people have grand ideas and I have to break their heart a little, and it's not fun. We learned a lot about ourselves, and those relationships inside government, and it was great to take those fledgling relationships within the District of Columbia government and bring them to this setting, and learn and see what we were doing right, and what we were doing wrong with other governments, other cities similar to ourselves, to make sure that we're building the strong bonds that we need, internally, to make sure that [00:06:00] our projects can be successful. Paul Taylor: Any heartbreak in St. Paul, or has all been joy? Wes Saunders-Pierce: Well, we've had some really good experiences in developing relationships, and one of the things that's really helped us a lot is relying on our innovation team to help provide a framework for us to work within, in terms of developing a project charter, and fleshing out, from the internal government side, who are the right people to bring to the table, and how do we really effect [00:06:30] change with those people? How do we empower them? And one of the things that's been the most profound for us is, not only using tools provided to us by our innovation team to bring the right people to the table, but really getting it to a self-sustaining point, where we have relationships across departments, where people recognize the skillset, value the skillset, and can really move towards a common goal, even though at a day-to-day level, there may [00:07:00] be competing agendas for program delivery between different departments. So it's been really fantastic to see how we've been able to weave together these different technical experts, and really get to a self-sustaining relationship as a project team. Jen Mayer: That's great. All of the City Accelerator participants came in with compelling projects and compelling stories. I'm interested in knowing how your projects evolved in the course of the accelerator. Let's hear from Pittsburgh first, [00:07:30] because you kind of had a mid-course correction on your project. Kristin Saunders: We did. We had a major change in scope. We started this project thinking that we were going to look at an engineer's assessment, a conditions assessment for all of our public staircases. After bringing everyone in the room and talking to DPW, we learned how short-lived those structural assessments really are, and so we actually took on more of a planning project to understand the priorities for the steps, and really developing [00:08:00] a prioritized list, so that we can then look at ... Maybe instead of 50 steps and the conditions assessment on a set of 50 steps, it would actually be projects that we could tackle in a reasonable amount of time, as that structural assessment lives. Jen Mayer: And I would say, Seth's project had somewhat of a similar evolution, starting out as more of an engineering project and turning into a lot more outreach than, perhaps you planned. Miller Gabriel: Yes. No, you're absolutely right. I was just thinking ... [00:08:30] When we first started, at the first convening, the idea that "oh this was changing over street lights. What could be simpler than that? We're just going to change light bulbs. We just need to get the right engineering team." We quickly learned it was really not about street lights. It's about the perception versus the reality of lighting within the diverse, urban area, where we have some parts of the District of Columbia that are very densely populated, some parts that are not so densely populated, and a national park [00:09:00] in the middle of the city. How are we going to address all those different areas? And it was also very helpful for, well for me, personally. I think for the D.C. team, that coming to these convenings, we spoke to other cities that are living through the same process, and the realization of something that looks very simple and straightforward, and very similar projects to what is the reality of more ... I won't say selling the idea, but presenting the idea in a package that makes sense. Brian Strong: I mean, what could be more simple, I think, than fixing a [00:09:30] sea wall in San Francisco? Seth Miller Gabriel: Right, it's easy. You have it easy. Brian Strong: The problem, and I think we had a similar situation is that no one knows what a sea wall is. So, that's one of the things that we learned early on, from some of our data that we were collecting, is that ... Just like the term "infrastructure," it means a lot of things to a lot of different people. Well, we found out that most folks don't really know that San Francisco is supported by a sea wall, and the role that that sea wall plays in protecting jobs, and transportation, [00:10:00] in a whole host of things. Tourism, a whole host of things that the city relies on, on a daily basis, to function and to be a place where people want to come and be. Wes Saunders-Pierce: I really think that data-driven decisions is so critical, when you're moving into uncharted territory for infrastructure delivery and ... One of the things that we did in St. Paul is we looked at new delivery of storm water management solutions. We really had to understand what the typical [00:10:30] costs being borne by the private sector were, so we did research. We looked at five years of development projects within St. Paul, to understand what the capital costs of storm water management on those development sites was. And that is information that is really going to serve to inform our decision making in a lot of different dimensions. Paul Taylor: Anybody else on data and how it affected the project? Kristin Saunders: The Pittsburgh steps project ... We really [00:11:00] use data in a couple of ways. We focused a lot of the project on public outreach, because the staircases are so well-dispersed throughout Pittsburgh, we really needed to focus on really getting out there to all the neighborhoods and making sure that we had input from several different sources, and several different means. We developed an online wiki map, so anyone could go from their home, or from the library, or from one of these community meetings and actually give us input on a particular set of steps, [00:11:30] so that's one data set that's a little softer. You know, it is self-reported. And then we're also using the more technical data that comes from the U.S. census, transit data, GIS analysis, looking at the walksheds of the steps, to also determine their importance. So I think something that we've really learned is methods for combining those two things, in order to get to a prioritized list, combining the softer data with some of the more technical data has been really valuable for us. Jen Mayer: [00:12:00] Excellent. Well, a lot of the cities have encountered challenges as they're implementing their projects. What was the most challenging issue for you, as you tried to implement? I know that St. Paul was trying to change a paradigm, and kind of doing it in flight, so Wes, if you want to speak to that. Wes Saunders-Pierce: Yeah, absolutely. One of the biggest challenges for us is identifying a revenue source to pay for the long-term operation of this innovative, comprehensive green infrastructure system that we envision at these redevelopment sites. [00:12:30] And, while trying to find the revenue in and of itself is a challenge, what really made it complex is the timing of redevelopment, compared to the initial delivery of the infrastructure. So, what I mean by that is ... What we envision is building out green infrastructure systems on redevelopment sites to serve future development, so the infrastructure will be there day one. But, the redevelopment may not come for many, many years, [00:13:00] so where can a community find revenue to pay for O & M that will be necessary, day one, when the redevelopment that will benefit from that may not be there for several years. So really, balancing not only the revenue source identification, but trying to marry it up with the proper delivery, so we can have funds available, not only immediately, but also in the long-term for successful operation of these innovative systems. Paul Taylor: Seth, [00:13:30] what could possibly go wrong with innocuous LED lights when you put them in front of a public meeting? Miller Gabriel:Thanks. Yes, correlated color temperature ... And I would invite everyone listening to this podcast, just Google that and have fun. That has really become the problem. We did not anticipate there being a public debate about the actual [00:14:00] color of the street lights. And frankly, that wasn't really a debate when we started, but it quickly became a global discussion about the hue of the LED light that's produced, and what is an appropriate color temperature for different settings, and what would be considered a safe color temperature. I'm the first one to admit that we probably were not as prepared as we should've been for that, but it was a good lesson [00:14:30] for any city looking at new technology, or at least new-ish technology. The thing that's probably going to jeopardize your project the most will be the thing that you either least suspect, or have no awareness of. So you have to plan for something you can't plan for. Paul Taylor: Did you end up landing on a number and a color at the end of the process? Seth Miller Gabriel: No, we're probably going to have a spectrum of colors. It's been joked mainly by my six year old daughter that [00:15:00] we should have lights that are a rainbow of colors that glitter. She actually has a mock-up. We did not accept a proposal from her. That would be illegal, but it would be brilliant. We are working very closely with the Department of Transportation, who will own this project, and they are going through a very rigorous process of testing different color temperature lights, to find one that is not only safe for all areas and different settings, but also effective. Because there's no point of changing over to LED [00:15:30] lights, or any other technology change, if it's not achieving the goal that you want, and doing it in a safe way. So, they're working very hard on that. I feel that we'll probably, through this process of public debate and education, land on a much better end product, because we will have a better light for every setting, because we were kind of forced to get there. Jen Mayer: Great. The work will not end here, we hope. This is the end of the accelerator, but what do you see the impact of this experience being, [00:16:30] as you go forward? I know in San Francisco, you've produced the results of the finance working group on the sea wall and presented it, but how do you see this experience of the peer, cohort, going forward? Brian Strong: You know, it's a long trip. I mean, we're moving forward with some of the immediate plans to address the seismic safety of our sea wall, but to address sea level rise, it's going to be a $5+ billion project. One of the things that we really benefited from, [00:17:00] from working with City Accelerator, was that we had access to a lot of professionals and a lot of information on different types of financings that we could use. We looked at 48 different sources of revenue, and different ways that we could do that, and the opportunity to speak with professionals was really helpful. Now we've whittled it down to about half a dozen or so, and it's going to be doing the tough work, which is collecting the data and really vetting those ideas and moving them forward. Wes Saunders-Pierce: [00:17:30] One of the things that I think is a key impact for us, for St. Paul moving forward, is we're really learning how to take a utility, something that's traditionally been underground and buried, and we're trying to bring that to the surface, to create place-making and vitality for redevelopment, and doing that in a way that really is holistic. So, we can involve engineers, we can involve planners, we can involve our finance folks. But really, [00:18:00] I think we're trying to transform our landscape by rethinking how we deliver what traditionally has been a very hidden utility. I think the impact is going to be on the future residents of these current, vacant, urban, brownfield properties, and will benefit in a positive way by having something that is an amenity for their new neighborhood. 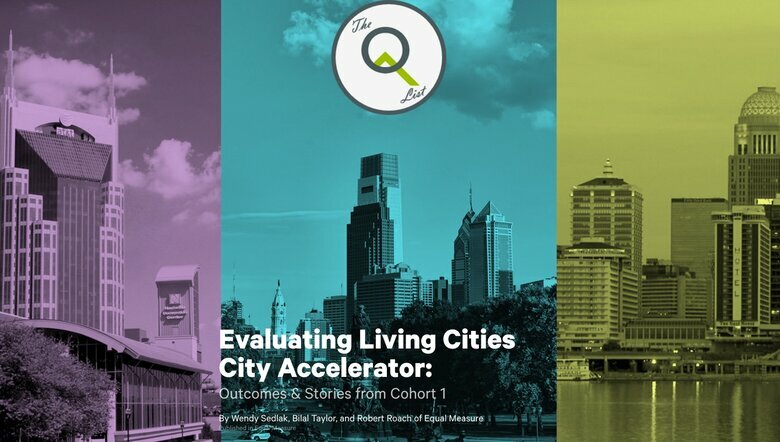 Paul Taylor: The City Accelerator was created by Living Cities and Citi Foundation with an explicit mandate to improve [00:18:30] the lives of low-income residents, and how has that equity lens impacted the project, and how you've approached the problem? Brian Strong: Whenever we look at a project, we gotta look at multiple benefits, and how it can not just prevent water from coming in to San Francisco, but also how can it help some of our lower-income residents in some of the areas of the city that [00:19:00] are not benefiting from the economic boom that we've been experiencing. So, that's been a big part of what we're doing in looking at how we incorporate them, how we do education in those areas, how we bring in jobs for the types of work that we expect that we will be doing to improve the sea wall, how we bring the rest of the city into that discussion, and how we really engage them, so that this is not just something that benefits one specific part of the city, or one [00:19:00] specific population. Kristin Saunders: Yeah, in Pittsburgh, our steps plan, I think, inherently had a low-income lens, because we are talking about walking and access to transportation and jobs by the easiest means possible, just walking. So, I think at the very onset, it does have that sort of low-income lens, but we're also trying to be really diligent about our outreach methods by using [00:20:30] many different ways of reaching people to improve the input we get. We're going out to many, many neighborhood meetings. We're presenting the project at neighborhood meetings. We're bringing computers with us to those neighborhood meetings, so that if people don't have a computer at home, they have an opportunity to provide input at the meeting itself. We're getting volunteers to sit at senior centers and help them also put input into the wiki map, and so we're really just trying to expand the reach of our outreach. In addition to that, [00:20:00] we're also prioritizing steps based on low-income household rankings and access to transportation, which are both ... It's even more critically important if that set of steps that is providing a critical link to a major transportation facility from low-income residential neighborhood is out of commission, and so we really do need to prioritize those facilities that provide those links. Wes Saunders-Pierce: I think in St. Paul, we really, [00:20:30] number one, have a very strong equity lens for how we deliver services, but also what we're trying to do is make sure that the areas that we're targeting for this higher performing infrastructure can be replicable no matter where it is in the city. We have the fortune of providing the initial innovation in areas that currently are low-income, and currently are high-diversity, so we're very happy about that. But [00:21:00] we also know, as we move forward and have other opportunities to implement this type of rain-as-a-resource program, we want to make sure we can communicate about it, and also have support from all areas of our community, across the city. So what we're doing, to really make sure that happens is, as we look at our financing strategies, make sure we're not isolating, or disproportionately impacting those that might not be able [00:21:30] to bear the cost, and making sure that the development community as a partner is paying their fair share, as well. Paul Taylor: And Jen, let's get super tactical on our way out here. Jen Mayer: What is the one thing, tool, resource, site visit, way of thinking, that's had the greatest impact for you or your city? I know it's hard to choose. It's like asking what your favorite child is. Paul Taylor: But that is the question. Brian Strong: I would start with the trips that we took. [00:22:00] I would really start with the heading out to New Orleans and experiencing and going through New Orleans and meeting with some of the people from the community and experiencing what they went through after Hurricane Katrina. I think it really sort of brings home why we're doing this work, and that it's really about the people that the infrastructure is serving. I thought that was really powerful for us to experience together, as a group, and I think really helped sort [00:22:30] of galvanize us to move forward and push ahead. Seth Miller Gabriel: Clearly the best trip we had was to Washington, D.C., so thank you all for coming. I imagine you all learned the most there. 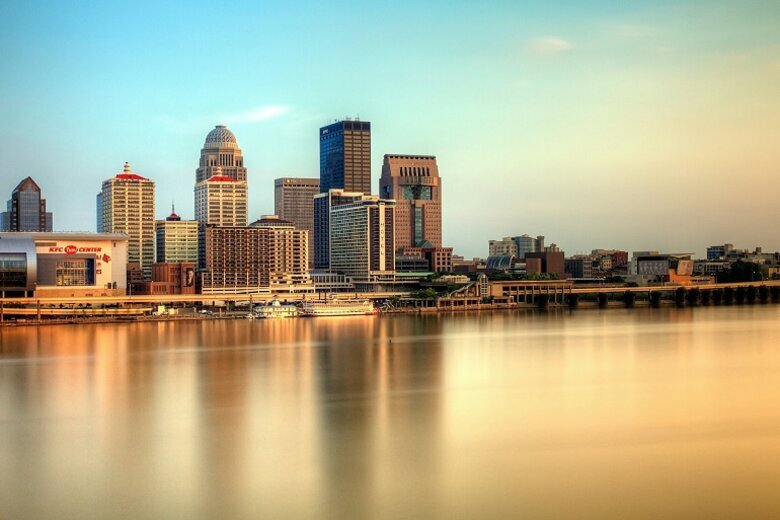 It is the prettiest of the cities. (laughs) But no, I think probably one of the things that I learned when we did go visit Denver, walking around their beautiful downtown, and how they've really improved their public transportation, but how that project that has universally been seen [00:23:00] as a net positive, has caused some other issues that they didn't anticipate. You can come up with the best possible project, but by your success, you can cause other challenges. How do you plan for those challenges that you create by being successful? That's what we've tried to work through on the street lights. We'll see how that goes. But also, the public Wi-Fi, and the remote control monitoring, some very straightforward things that we think will bring benefits to the residents of the District of Columbia, but there's something that [00:23:30] we're not thinking about that we're going to have to, then, have a whole other project and fix after we are done with that project. Paul Taylor: The one thing for Pittsburgh. Kristin Saunders: The one thing. That is hard. I think the one thing we learned is probably that data focus that I discussed earlier, and that was more through our consultant work, but we just really haven't had a comprehensive transportation planning process like this going on in the city. This coincided with us starting a new [00:24:00] Department of Mobility and Infrastructure, so that we're really looking at transportation from planning, financing, all the way down to implementation and evaluation under one house, which is really exciting. And this steps plan just happened to, or maybe catalyzed the process, and we ... This is kind of the first test for us, of doing that. I learned a lot from working closer with DPW crews. I learned that we pre-cast concrete steps in the winter [00:24:30] time when the crews are not working, and so maybe concrete's the best way to go. So I think just really learning how to get everyone in one room for the first time, because we are starting this new department, has been the highest value for us. Paul Taylor: St. Paul taught the entire group that it prefers to spell out the first word in its name, but what was the one thing that St. Paul brought home? Wes Saunders-Pierce: Certainly. I talked earlier about relationships, and I think that's really a key part [00:25:00] of what is going to have the greatest impact for us. One of the things that we were able to accomplish during the course of our accelerator tenure is we hosted a green infrastructure forum, and this was a day long event that brought together multiple departments within the city, from leadership to management and staff. But we brought in outside experts from other parts of the country that had delivered high profile [00:25:30] place-making storm water infrastructure, and we had them as panelists, so we could learn from them. We had our own panel discussions as part of that forum, to help really start to address some of the myths, address some of the concerns, really start to think about the barriers for implementation. And that green infrastructure forum was really something that helped steer people towards a common goal and really understand the vision of what we were trying to accomplish. So, I [00:26:00] think it really embeds the issues of relationships and how to really think about delivering infrastructure differently by addressing barriers. That green infrastructure forum was probably one of the things that had the most impact to our work. Paul Taylor: It has been a busy 18 months. Jen Meyer, what have we learned? Jen Mayer: Well, I'll take the facilitator's privilege and have three favorite children. One of them is capital projects don't just live happily ever after. [00:26:30] One of the things that in every city we've visited, the issue of how are you going to operate it, how are you going to maintain it, what happens after you build it really came up, and it's ... The capital planning processes really treat the project as the end of the game, and it really isn't. The second thing we talked about a lot was resiliency, and how to fund that when you know that protection like the sea wall, or avoiding future costs is what you're trying to deliver, and how do you finance against [00:27:00] that? A lot of times we'd talk about our crumbling infrastructure, we look to capital as a solution, or to financing tools, or to delivery tools like P3s, and I always want to say, "It's the revenue, stupid," and how do you make revenue out of avoiding cost, and that's something that we're going to be talking about. Hopefully in the guides and the things that we look at, is a concept called nega-revenue, which I came up with as some way to name financing against avoided cost and really using [00:27:30] those savings to deliver the infrastructure that can deliver them. The final thing that really struck us in every city that we visited, and every example that we looked at was equity. I think it's been, traditionally, a box that you check at the end of the project, and you think about, and you try to meet the quota, or the hiring goal, but you don't really build it in at the beginning. But I think we've found in a lot of examples that if you don't think about equity up front, it claps you on the back end, and sometimes quite hard. Really, looking [00:28:00] at actual, tangible tools to deliver some of the value that these very big place-making infrastructure projects can create in communities, how to deliver some of that value back to the community before it forces the people who are living there out, just from an increase in value. And so we're looking at a lot of options, whether it's creating a community dividend like in Alaska, where the city retains some of the land and has the community that's living there get some share of the increase in development, [00:28:30] or other options like community land trusts. Some way that makes sure that the places that you make are still there for the people that are there now. Paul Taylor: The work of the City Accelerator does not happen without the support of Citi Foundation. Kristen Scheyder, what have we learned? Kristen Scheyder: Well first, I just want to say that we are so proud to have been able to partner with Living Cities and the four cities that participated in this cohort. We really believe that cities are in our DNA, and we want to be a partner. When we look [00:29:00] at our estimates, we know that these cities across America need to spend about $59 trillion in infrastructure improvements over the next 15 years, and how are they going to do that? Regular resources aren't there. The U.S. government has dropped its spending on infrastructure down to 1.4% of the gross domestic product, so cities need to be innovative. They need to come up with new solutions. They need to look at things through a new frame, and so we were really excited [00:29:30] to go on this journey with Living Cities and give four cities an opportunity to take 18 months and look at their priority projects in new ways. And I think one of the most dynamic things that came out of this cohort was the conversations that you all had with each other, and applying the lens of different cities' projects on your own problems, and making you look at things differently. So I think that it's just a journey that this country's just beginning. We have a long way to go, but you guys have set a really great example, and we're really excited about sharing your lessons learned [00:30:00] with the rest of the country. Paul Taylor: Living Cities has been at the center of these discussions. It's done much of the heavy lifting and has had a catalytic and animating effect on the cities. Elizabeth Reynoso, what have we learned? Elizabeth Reynoso: Investing in infrastructure means investing in people. We've been talking about, first and foremost, the outcomes and the vision, and that vision, as the heart of it, and the narrative that comes out of it is because it's for our residents. [00:30:30] To be able to do that work means that we have to invest in all of you, all of the practitioners, all of the city departments that are represented in the infrastructure finance cohort. The beginning of our idea about, "What does it mean to have different perspectives? Be part of the conversation?" So, maybe economic development wasn't at the table in previous conversations before about [00:31:00] the different projects that you've had, or that you didn't bring in the public works guy, the science guy like Wes Saunders, you know, peers, into a conversation until these kinds of conversations were generated. And I think that what we saw, when we wanted to get these ideas about what tools are you exploring, revenue and finance that ... Also, what you were exploring was how much expertise is within your own cities, that you are not yet [00:32:00] tapping. And then, what expertise is in your communities that you could be pulling from. So as much as this was about infrastructure finance work, it was also about engagement. Engagement of your communities in a different way. A valuing of those residents, and their expertise and exposure, and the way that they experience your cities. And also, a valuing of your colleagues, and their work, their experience. Many of you have, [00:32:30] I feel like, grown up within the cities that you're working in, or other cities that you've brought up. And so, I think that that is some of the heart of the City Accelerator, is that we invest in the people who are doing the work, who live and breathe in the cities and are trying to create a place for all to thrive. And your focus on low-income residents, as being the people who, if we serve them, and we solve for the issues [00:32:30] that they are most impacted by, then we serve all our residents. So, thank you for the inspiring work that has been done, and I know that you're going to continue to inspire more of your peers around the country. Paul Taylor: That's why they call her City Nourisher on Twitter. Thank you, Elizabeth. Jen, you're putting the finishing touches on the implementation guide of the model of resilient, equitable infrastructure financing, with a special chapter on nega-funding, we just learned, right? Paul Taylor: [00:33:30] So, we'll have a link to the implementation guide, as well as some of Governing's work on public-private partnerships and all of that will be in the show notes at governing.com. That will do it from here, in San Francisco. Congratulations to Jen, the team from Living Cities, Citi Foundation. And as well, to the teams from the cities that have been doing the work themselves. Pittsburgh, St. Paul, the District of Columbia and San Francisco. [00:34:00] Our audio engineer was Eric Koch. With Jen Meyer, I am Paul Taylor. Thanks for listening. 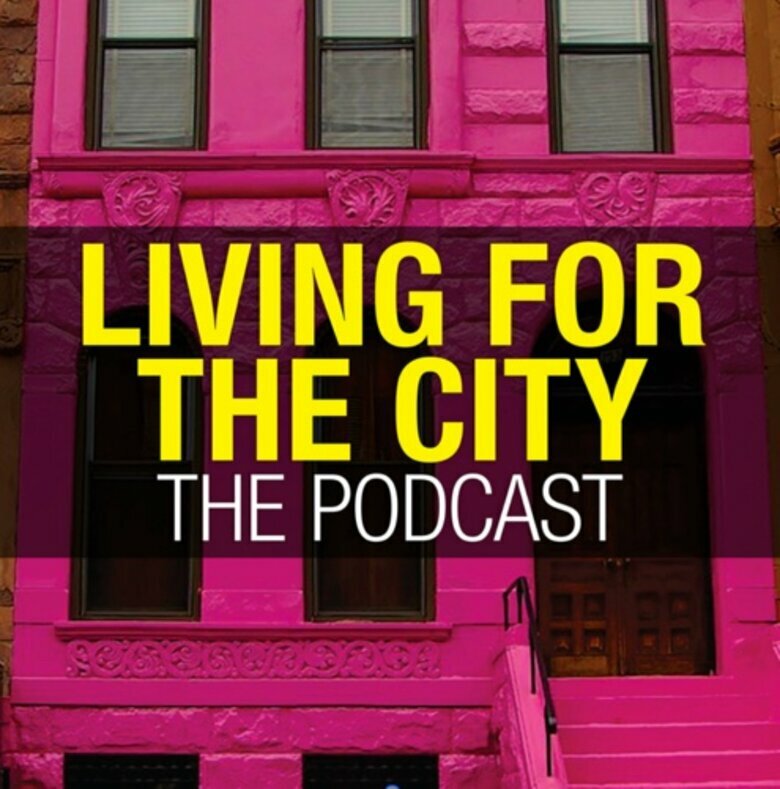 This podcast was produced with support from City Accelerator, a joint initiative of the Citi Foundation and Living Cities.